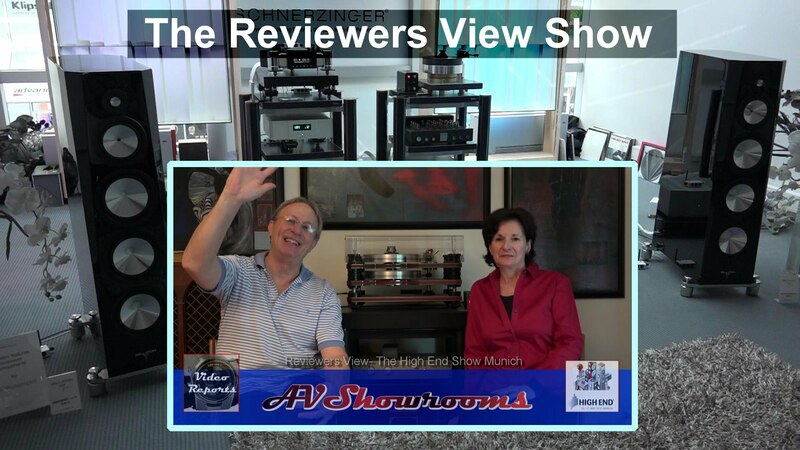 The largest audio show in the world brings us so many new as well as familiar companies every year. There’s an increasing amount of uber priced flagship loudspeakers and electronics, but not everything is priced for the one-percenters. 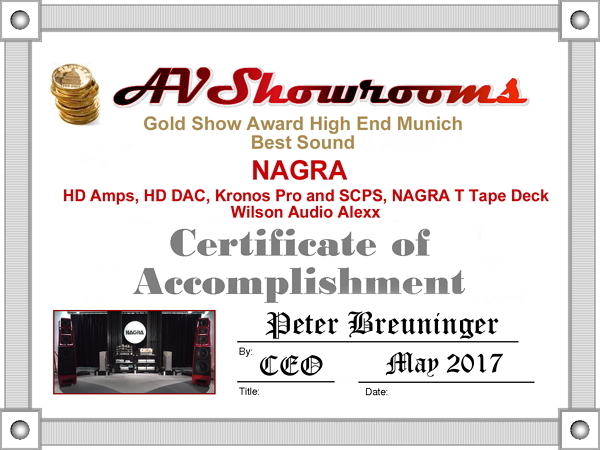 Whether or not you are in the market to buy a new piece of audio equipment, the High End is for every audio enthusiast to enjoy the ear and eye candy, meet with friends and experience what the great city of Munich has to offer. 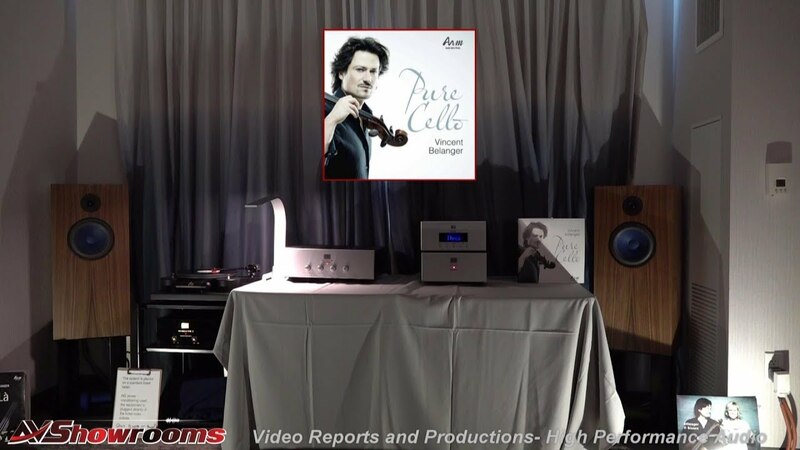 Beautifully engineered and designed, the Aires Cerat sound was transparent, emotionally involving and detailed. The speakers throw an image out into the room. It was as if Anne Bisson was right in front of me, singing. The loudspeakers were as beautiful as the music they reproduced. 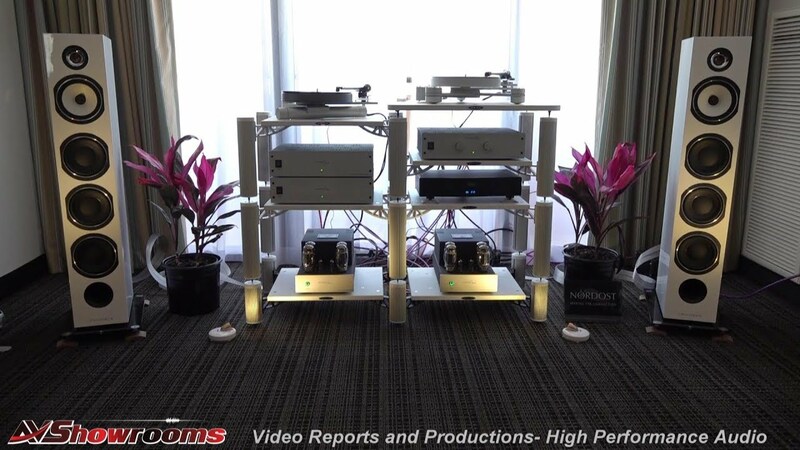 The amplifiers were simply stunning to behold and the new phono stage was introduced with aplomb. The room was truly a sight to see. 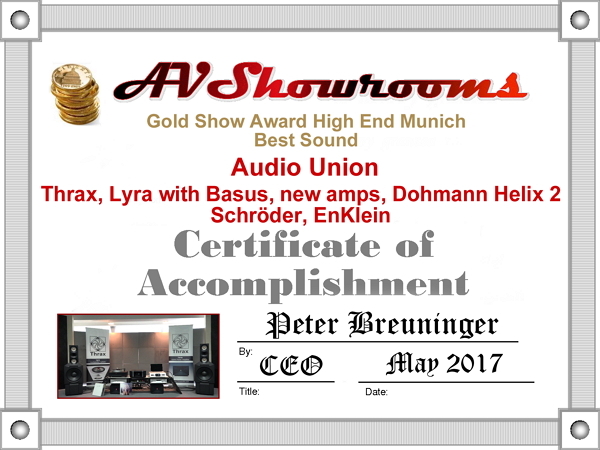 I loved the sound so much it’s my “take home” room. 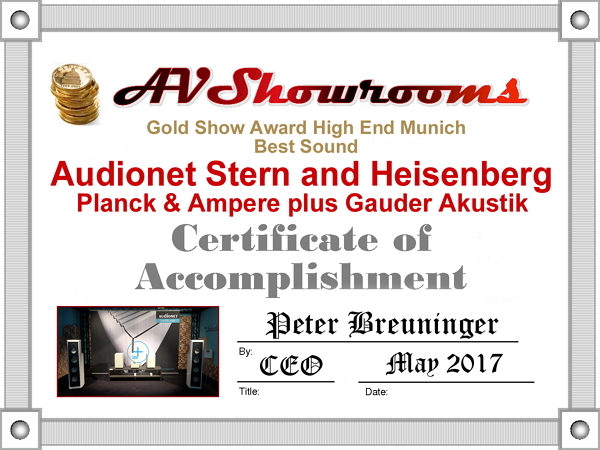 The debut of the uber amplifiers, the Heisenberg power amp and the Stern preamp proved that everything I know about team Audionet is true. 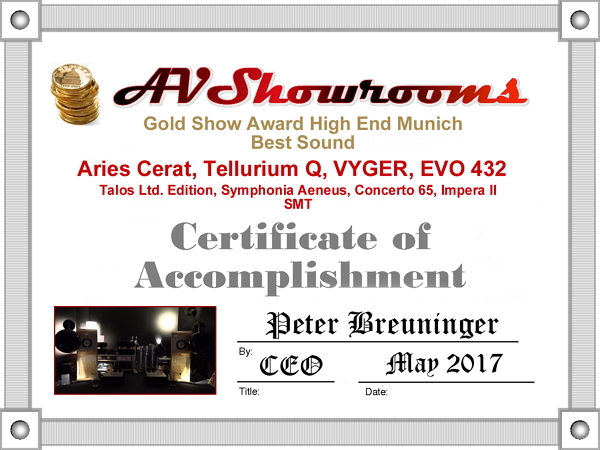 That is, they create truly some of the best solid state electronics in the high-performance audio market today. Going in, my expectations were high and, no surprise, they were exceeded. The sound was huge, holographic and enveloping. Powering the Gauder Acoustic Berliner loudspeakers, we played a very dynamic track from a CD called “Equinox”, recorded by Soundkeeper Recordings. The bass reached way down and the organic tonality was a living and breathing entity. USB cable. We played the track “Nublado” from the album “Sera Una Noche”. The sound was big, organic and extremely detailed. 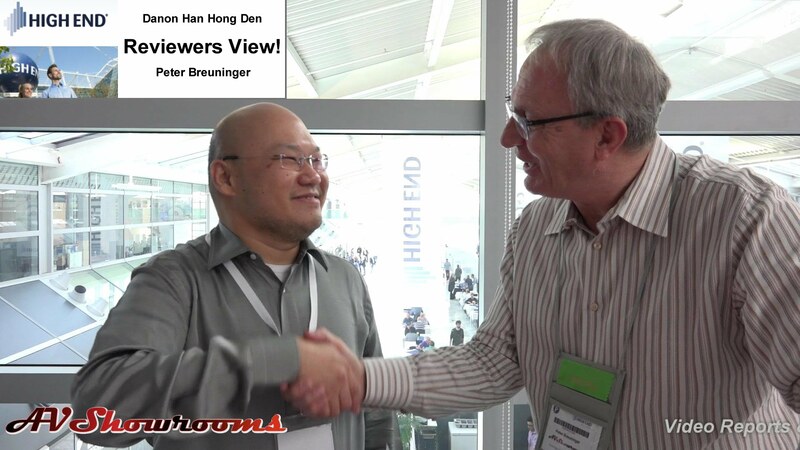 Truly, one of the best sounding rooms at the show and the video is a must see. 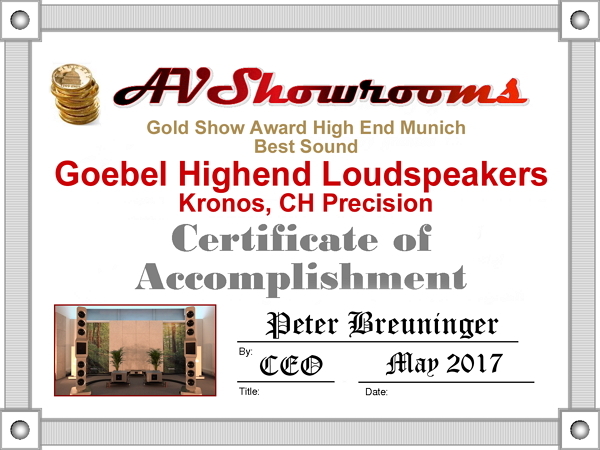 Oliver Goebel, proprietor, was exhibiting the flagship loudspeaker in his line, the Epoque Reference, and explains in the video his design and the concept of the bending wave driver. 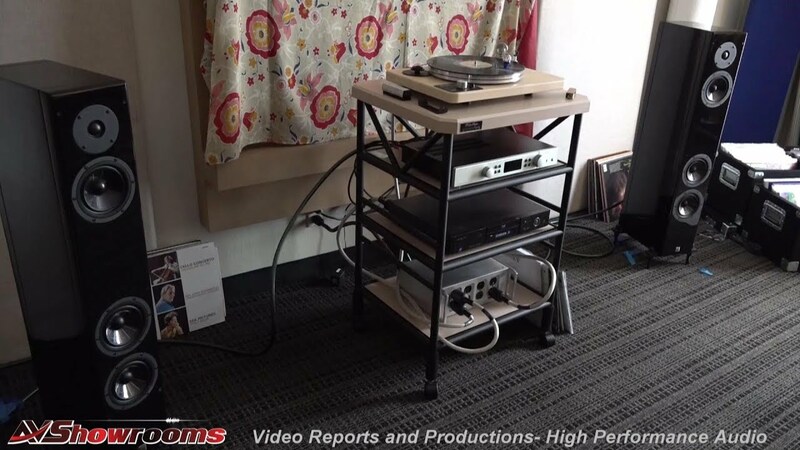 We played “Trampled Underfoot”, a track from the Vanessa Fernandez album “When the Levee Breaks” on the Kronos Pro turntable with the SCPS-1 and the new Kronos phonostage with stand. Electronics were CH Precision. The sound filled the room like a flower in bloom. It was big, dynamic, fast, articulate and the music and Vanessa’s voice were in front of me. 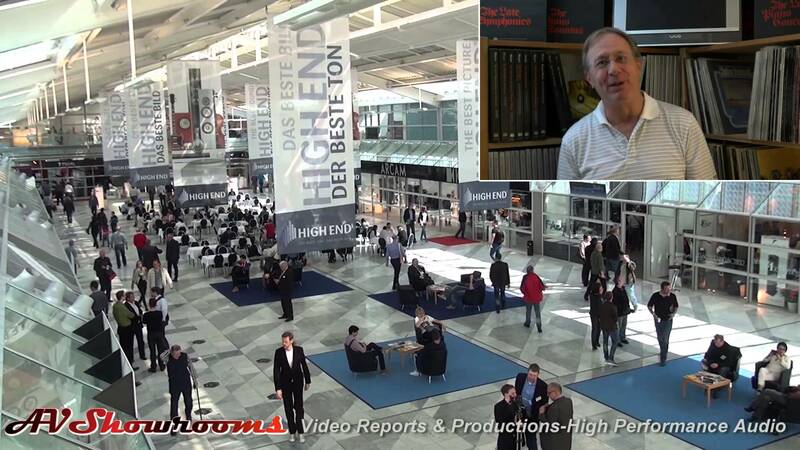 Once again Nagra brings to High End Munich sound with pinpoint precision and dimensionality. We played a cello track on the Kronos Pro with the power supply from “Chasing the Dragon” and it was realistic with incredible detail, not sacrificing organic warmth. 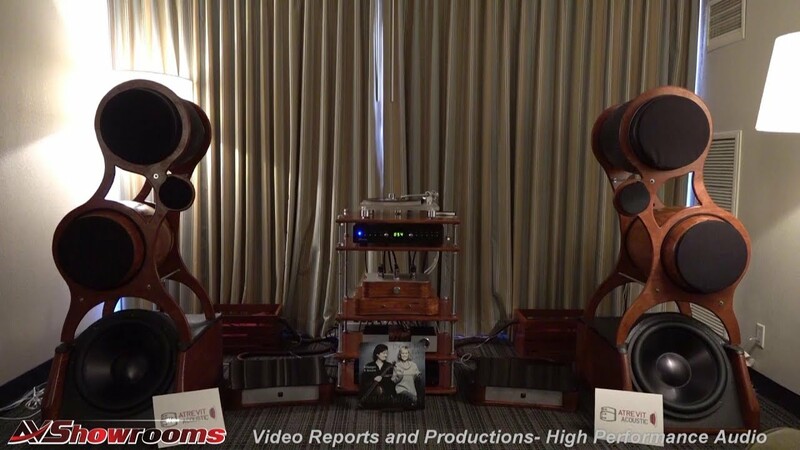 Nagra’s top-of-the-line Class A amplifiers and Classic preamplifier along with the Kronos turntable and Wilson Alexx Loudspeakers are a winning combination. Sweet and emotionally moving. 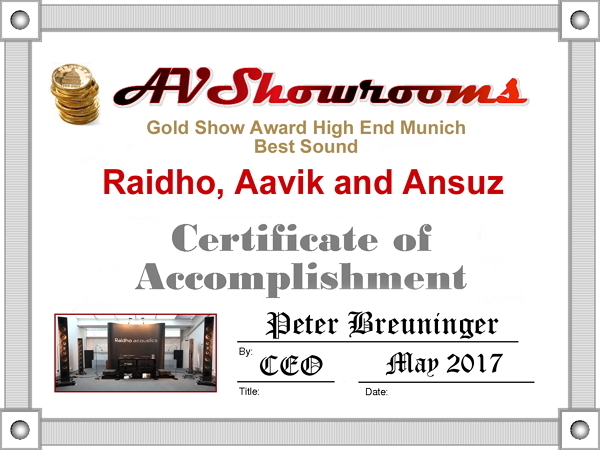 Listening to the CD “Equinox” through the Raidho D5.1 loudspeakers, Aavik monoblock amps with Ansuz cables and power distribution was exhilarating. The horn exploded inside the room and the bass was tight and perfectly integrated. Dynamic, punchy, fast and exciting , the 5.1’s were in a right-sized room and able to perform optimally taking into consideration show conditions. 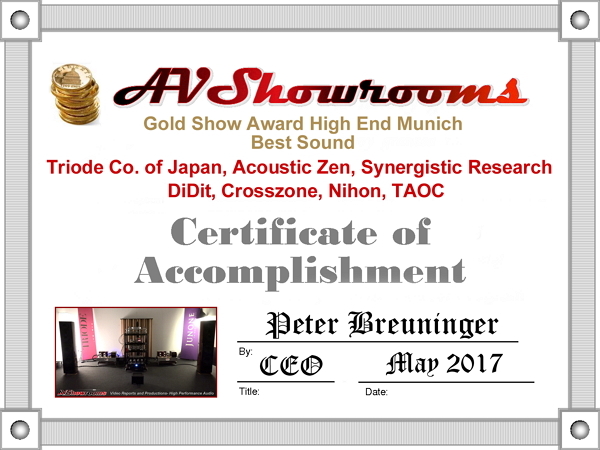 The room included Acoustic Zen Crescendo loudspeakers and Synergistic Research’s Atmosphere Level 4 cabling, the Atmosphere tower, Black Box and HFTs. 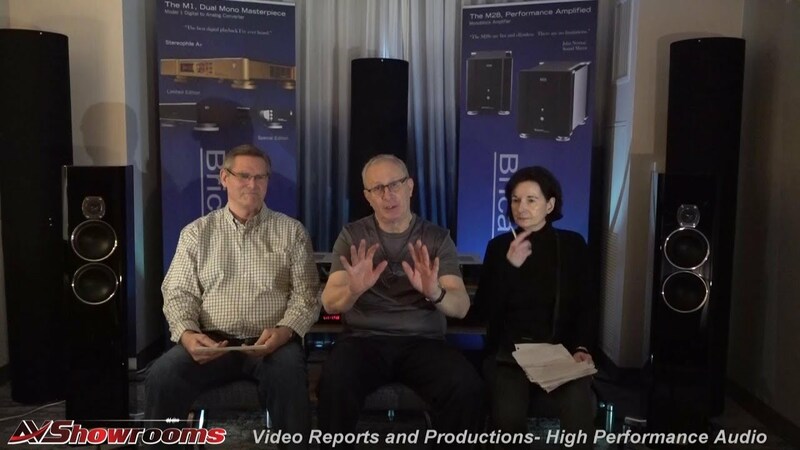 The Triode Corp. of Japan’s new tube amps with the Acoustic Zen loudspeakers packed a very significant punch at the High End 2017. 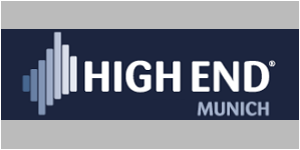 Combined with Synergistic Research’s UEF technology the quality of sound increased another level from prior years. We played a track on the CD “Equinox” and the sound was strong, punchy, detailed and dynamic with a tight bass and well integrated mids and highs.